I just couldn't resist another Country Life card! 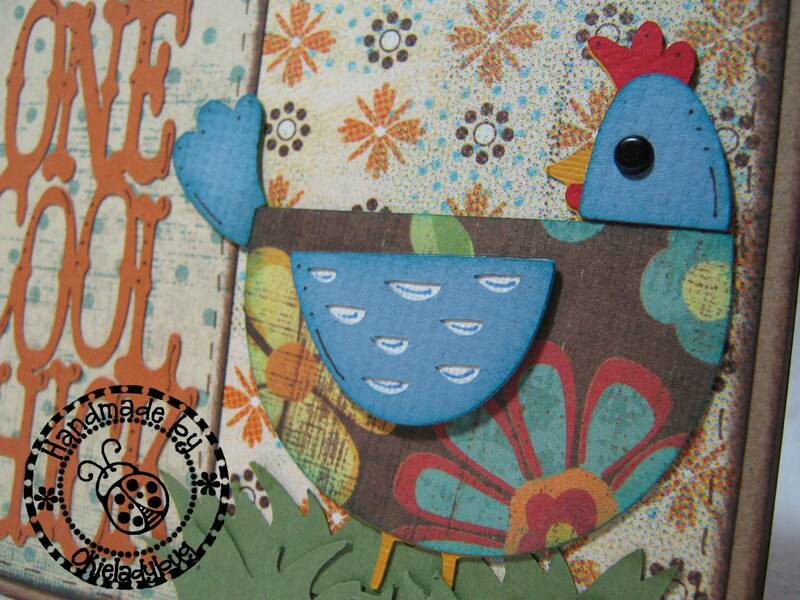 I looked through the book and I liked the look of one of the chickens. 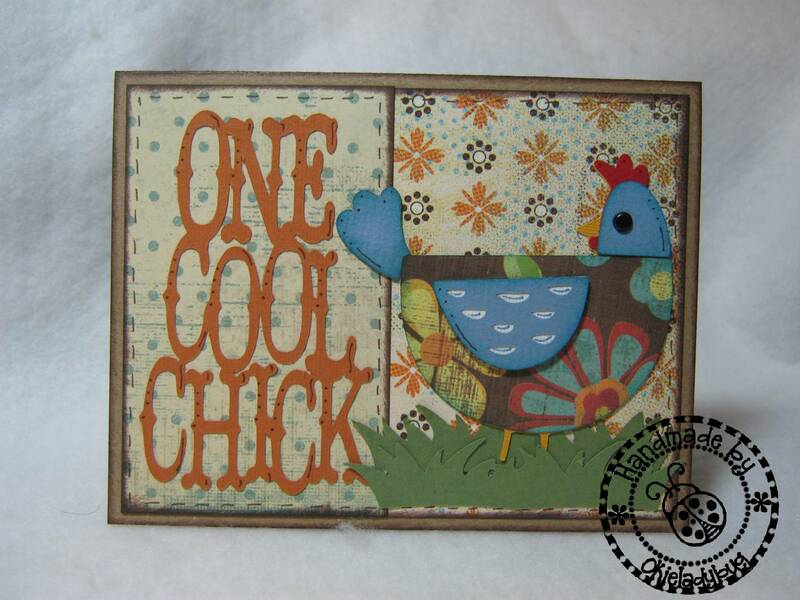 I did use the sentiment of "cool chick" but added "one" at the front. And I did remember to save this time so I do have the ONE COOL CHICK cut file available *okie does a "yeah okie" dance*. The cut file is set to cut 4 cards at a time. Of course you can delete some cuts if you don't want to make 4. The sentiment is one piece and welded. I did a little doodling on the card *okie can't seem to NOT doodle* and I think it always makes a card look a little better. I decided to be daring and make that chicken with printed paper, which is a big step for me. If ya'll read my blog you know that I have a problem with making things that aren't appropriate colors. 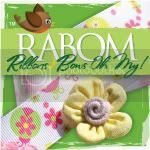 But I am trying to step out my little comfort box and walk on the wild side *okie finds this humorous that using patterned paper is wild side and decides she has definitely reached an older age*. Oh also, one more thing. I did cut the grass twice to give it a some extra dimension. Well hope you guys like the card! Thanks Okie, it is totally adorable! 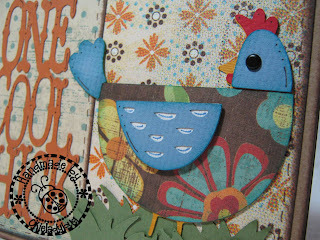 You are so generous and lots of fun :-) The patterned paper is exactly right for that chicken. Very cute. Nice colors Okie. I love the paper you chose for the chicken! Fantastic card. 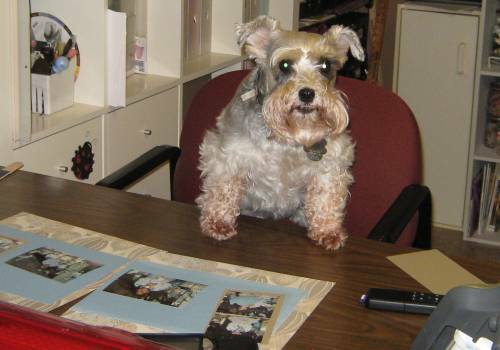 you did it again--this is super cute! 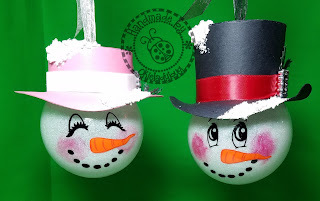 Super cute.....love the patterned papers!!!! Thanks for another great card. Love the card. I NEED this cart. It looks like it could be a lot of fun! I like the country life cart. Caint wait to get to walmart to pick one up. I love that you put 4 cards on the cut file. It is nice to have some cards in my stash ready to go. Thanks! Oh and like the card a lot. Now I need to buy the cart. Okie your card is darling! I love all the colors you chose & the One Cool Chick! Love this card. Kind of reminds me of a calico cat. I like the look of the chicken. The patterned paper is perfect for it.